Listed on the New Jersey and National Registers of Historic Places, the Carver Center has served as a meeting place for a variety of social and community organizations since its construction. The oldest section of the building was constructed circa 1915 by the Sunlight Elks Lodge at the rear of an existing dwelling that had been used as a clubhouse. That building was removed in 1927, and the existing, two-story building erected on Fowler Street. In 1944, the property was acquired by the Y.M.C.A. to serve the Black community, replacing its facility on Spring Street. 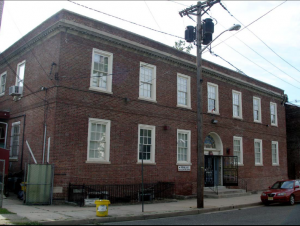 The building served as a social center for the community, hosting nationally known acts like Cab Calloway and Fats Waller, as well as a meeting place for organizations including the State Conference of the NAACP and the New Jersey State Federation of Colored Women’s Clubs. NJSFCWC acquired the property in 1975. In 1977, the Carver Center was designated as a historical landmark on the New Jersey and National Registers of Historic Places. The Carver Youth and Family Center continues to serve as a meeting place for social and community organizations. The Carver Center is home to several programs assisting members of the community. National Association of Colored Women's Clubs, Inc.
Northeastern Federation of Colored Women's Clubs, Inc.